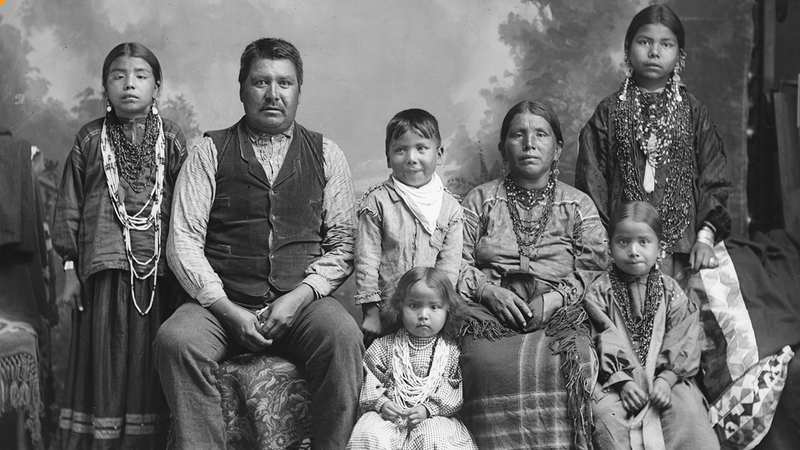 Wisconsin Historical Society, Charles Van Schaick, Studio Portrait of Jim White Bear and Family, Image ID 61207. Viewed online. Native People of Wisconsin explores the Native Nations in Wisconsin, including their histories and cultural traditions. Readers will use the text’s maps, illustrations, and photographs to investigate how rapid change like the arrival of Europeans impacted Native culture. Profiles of young people from each Wisconsin First Nation also help students learn about life today. A detailed teaching guide complete with printable maps, student activity books, and comprehension activities is included.